Hitlisted 2017/18 by The List Eating & Drinking Guide as well as Tiplisted for Afternoon Tea. Serving breakfast, lunch, afternoon tea, high tea, Sunday roast and Sunday brunch. Fantastic large terrace for al fresco dining in the summer months. We had afternoon tea for a party of two, one of us is a vegetarian. The food was okay but, in relation to the quality, overpriced. It also leaned heavily on the sweets side. The sandwiches tasted a bit bleak and contained nothing fresh (except for raw onion! ), the pastrami sandwich had meat I couldn't chew so I had to leave it on the plate. We've had high tea in London (Soho) before, with one serving (at £23) includig about the same quantity as your place serves for two, and with sandwiches that were outstanding - creative, fresh, and very tasty. Service was okay - our waiter ignored us after serving the dish, but others responded when we signaled. The polite, enthusiastic and energetic staff made our lunch an absolute pleasure! Overall just ok. I had the open salmon sandwich. It was sloppily put together. Too much cream cheese, not enough salmon, side salads were pointless, no dressing on green salad and coleslaw pile of cheap mayonnaise and cabbage. I've had much better at other 'cafs'. Disappointed after several previous good experiences. Girl who took the order was very pleasant but then disappeared and a variety of other people brought water (why always glasses rather than a jug??) and tea, then main courses. Had to ask twice for butter with the bread that came with the Cullen skink, which was lukewarm at best; side order of chips had to be chased and then arrived after everything else had been eaten so was sent back. Always had to flag down a server to get anything. Fish and chips were good but on the whole thought the meal was expensive for what we had, and the service was poor. We visit regularly and are always very pleased with all aspects of the Gallery Restaurant. 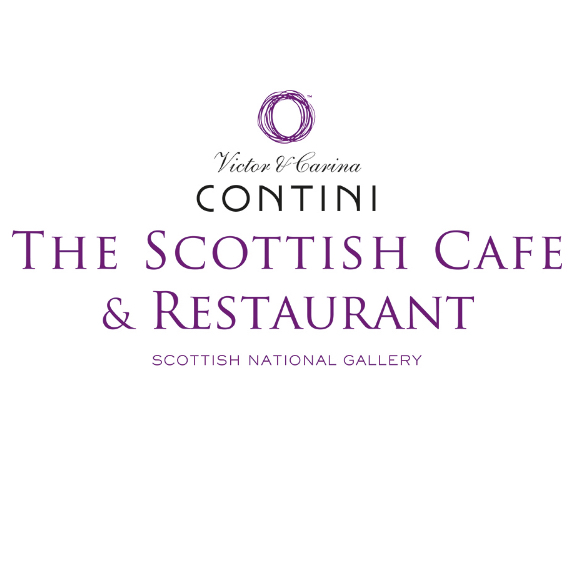 As Friends of the Galleries in Edinburgh, we rate it highly in its quality of service, food and drink - not forgetting its excellent staff, who always make us feel very welcome. My sister and I had an excellent Christmas lunch -delicious vegetarian food, a friendly, welcoming atmosphere and good service from Giuseppe and his colleagues. We're looking forward to our next visit! Brilliant venue - especially on this occasion with friends when my wife fainted due to a seasonal illness: the staff were most helpful, kindly and professional including first aider Reuben. We look forward to returning in 2019 on our next Edinburgh holiday. We requested a window table which we got and that was nice. The menu offered a good selection. Unfortunately the soup, a coconut butternut sqash was a little too sweet and thick which would probably have been ok if it was hotter. My main was salmon which was excellent. The staff were all very friendly and efficient. Overall a pleasant experience. Lovely lunch. Good atmosphere despite restaurant being very busy. Lovely waitress Agnieszka and good to be greeted by Victor himself. Food and service as always were fantastic. 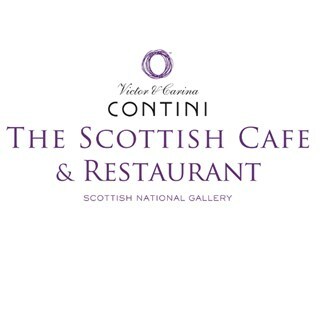 Absolutely adore Continis George Street but this is not in same league! Staff were lovely but soup was without much flavour, was given the non gluten free bread but told it was gluten free, quickly corrected but not what would be expected and would have liked to seen more options to have smaller plates for lunch . It was a lovely surprise to be given a window table and have a great view of the Christmas market and funfair. This restaurant is excellently situated and overall we enjoyed our meal. I do think you should provide water jugs and glasses at the table. This is routine across the globe and it is annoying only to be given tiny glasses and told to go help ourselves but jugs are not allowed on table. YIKES. I was really looking forward to eggs benedict. Why stop serving them at noon which was when we arrived. A great place to meet friends and family. Service and food were excellent despite a reduced breakfast menu. We will be back. The bar service was atrocious with our ladies wine arriving half way through the main course. Waitied at least 10 minutes for a jug of water. The turkey was dry, the ham was overdone and half of the parsnips were inedible. When we complained we were told we should have complained at the time but having experienced a situation like this before, what happens is that while they fix the meal, the other guests finish their meal. Not conducive to a Christmas lunch party of 6 ladies. We were offered coffee and cake as compensation which was appreciated. Very often you are told the next time you come in you’ll get a discount so pleased at the way our complaint was dealt with. Christmas dinner and pudding were superb! Excellent service. Excellent ‘old fashioned’ service , taking coats and saying goodbye personally is all lovely - very polite and friendly staff. Understandaby restaurant very busy but plenty of staff all of whom were very efficient, fried ly and attentive. A nice way to spend the afternoon. Great service.